I do agree. If they would add valor to LFR and Dungeon Finder it would stimulate more people to join LFR and the dungeon queue for better equipment and better raiding skills which would lead up to more people testing high ilvl content. Today you can not join a raid finder group or a RDF group because they are more rare then 5v5 arena matches due to the lack of new content on wod. There are more bgs weekly then 5 , they usually happen around 8 pm . About the conquest points , they will not increase the population because you and some of us know that the problem is not gearing in pvp , the problem is legion and the lack of new content. Anyways i wish you good luck in this even though there are no developers focused on WoD as i have made a suggestion for WoD content. Title: [WoD] Hellfire Citadel and Mythic Content Type: In-game Description: After almost 2 years of nothing being fixed or scripted on Gul'dan i belive now is the time . 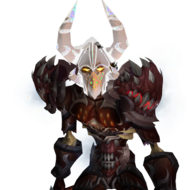 As we all know mythic Antorus is comming on firestorm soon enough and that represents the end of Legion development (not counting the minor bug fixes that require no more than 3-4 developers). Because of that i would like to suggest that 2 developers start developing WoD content soon. There are still big amounts of people willing to come back to the WoD expansion to finish the end game content they always wanted . If the developers turn on the other side and start developing BfA , we all know what's going to happen. Huge amounts of people will start migrating from legion to BfA and firestorm will have even more dead servers (3 atm) that just need an act of care by at least 1 developer so they can rise again and give the people the content they've always wanted. You are welcome to join the only active English-speaking guild! Title: Make a vanilla wow server! Type: In-game Description: I think a vanila server could be a good idea because people can enjoy lvling and doing old raids + getting legendaries like thunderfury and sulfas + the staff of ateish!